This grey plastic grain shovel from Faulks comes with a long wooden handle and plastic D grip. This well balanced and traditional grain shovel is perfect for use with grain, feed, debris, snow and clearing out the stables. 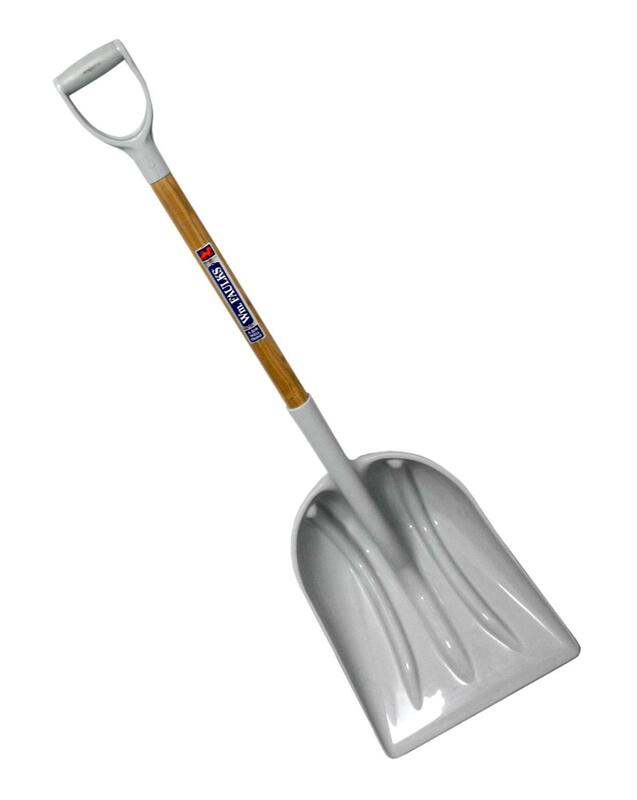 The polyprophylene shovel head makes the whole process of shovelling much simpler and requiring minimal effort due to its lightweight design (1.3kg) and wide scoop (38 x 46cm / 15" x 18"). A frequent grain shovel of choice throughout Ireland and the UK.